MILLBRAE, Calif.- A picture, indeed, speaks a thousand words. A photo of a young girl, who may not be more than seven years old, and whose small frame is covered with soot and grime and her blank stare, said it all. It stirs a thousand, nay hundred thousand words. She sits amidst filth and squalor, an empty jute sack in hand where she puts charcoal she gathers in Sitio Ulingan. Ulingan is a blighted area in Tondo, Manila, so-called after the charcoal factories that dot the area. She sells the charcoal for pittance to augment her family income, which, maybe, is also pittance. The depressing photo was taken by Manila-based Belgian photojournalist Sidney Snoeck and posted on Facebook. Sidney goes around Metro Manila and record with his lens in-your-face poverty, and this powerfully depicts one. If you look at the picture in a macabre way the environs must be like hell’s ferment. If you are unmoved your heart must be rock-solid or made of granite. When Caloocan City-raised Melissa Villa, a resident of Millbrae, California, saw the picture she got roiled inside. The sight of the young girl stirred her sou. 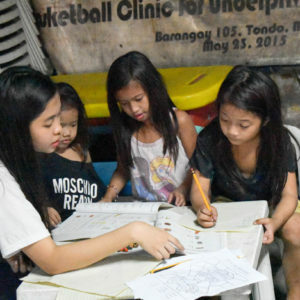 It spurred her to do something to help the girl and others like her in Ulingan. “Their life is a travesty,” Villa said. 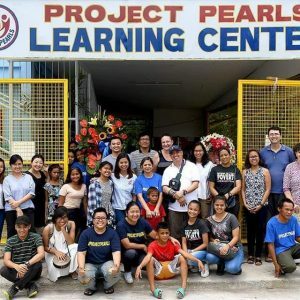 With a small group of relatives and friends, Villa established an outreach program called Project PEARLS, acronym for Peace, Education, Aspiration, Respect, Love and Smile. She had it incorporated with the State of California as a tax exempt, non-profit organization. 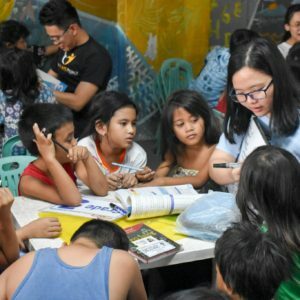 Villa said her civic organization aims to stir social awareness of the plight of and radiate some light in the life of the “less of our brethren” in the ancestral country. Villa met Pedro Gerardo Silo, president of Photo Kalye, and a kindred spirit. They are “Mommy Melissa” and “Daddy PG” to the children of Ulingan. Photo Kalye, a group of photographers focusing on social amelioration, has been their partner in all their outreach efforts. Villa said that if not for her brother, Juan Villa and family friend, Raymund Dames, who work tirelessly in the field, her husband, Clif Wilcox and daughter, Francesca who are very supportive of her, her vision and mission for the children of Ulingan will not be fulfilled. 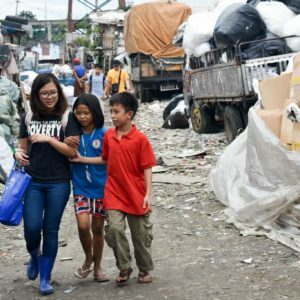 Project PEARLS has attracted nurses, doctors and ordinary citizen volunteers, like Chris Roesch, Daniel Bucher, Lynar Perez, Bernie Malaluan, Sheril and Ron Salangsang– all modern paracletes or comforters of the afflicted in Ulingan. They built a new day care center built in November 2010 to replace a dilapidated one. Fundraising events were organized to fund various projects. 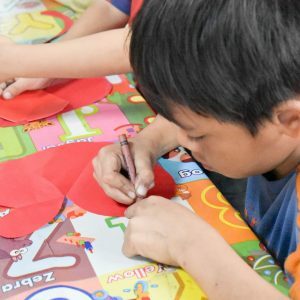 The latest is a Pearls Scholarship launched this year to benefit qualified students of Ulingan who are attending Gen. Vicente Lim Elementary School in Tondo. The scholars each receive an annual stipend of Php 7,200 (equivalent to US$170) worth of school fees, uniforms, shoes, books, school supplies and transportation allowances. 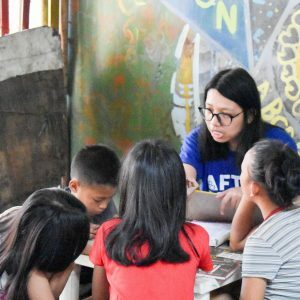 The Fil-Americans of Northern California Organization or FANCO of Marin County headed by Eva Richards, a former social worker in Manila, included Project PEARLS in its outreach program. Villa explained that her progam just wants to feed the hungry, clothe the naked and comfort the weary in whatever little way. She is inviting interested parties to contact her at 1044 Sycamore Drive, Millbrae, CA 94030.